The high-tech BB20 experience continues with the help of Amazon Alexa! If you were looking for even more ways to expand your summer of Big Brother fun—as if the CBS Messenger Bot wasn't enough—Alexa is here to assist! Amazon devices with Alexa now feature some fun BB features, like a brand-new poll to take every Tuesday! 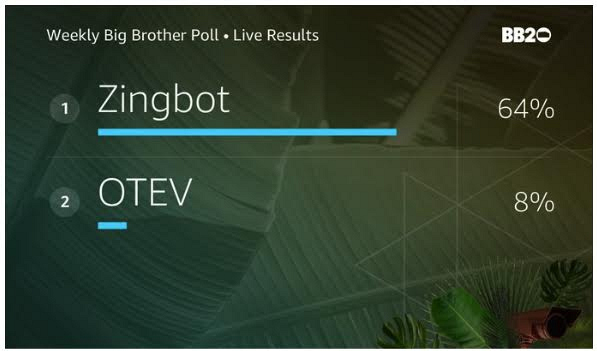 "Alexa, open the Big Brother poll." Simple as that! And if you take the poll, you might even get an exclusive little snippet of something fun—so make sure to come back every week! 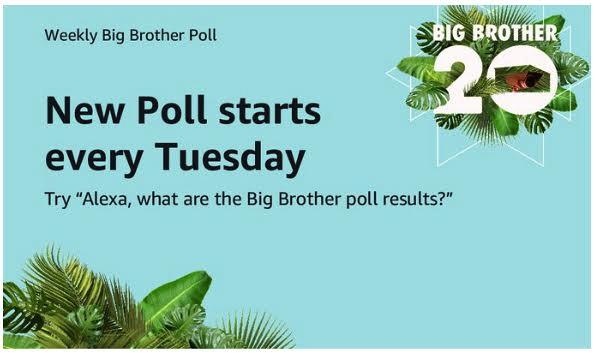 Then, check back every Thursday to hear how other BB fans responded to that week's question by saying, "Alexa, Big Brother poll results." - "What time is Big Brother on TV?" - "What channel is Big Brother on TV?" - "What happened on the last episode of Big Brother?" - "Who won Head of Household on Big Brother?" - "Who's hosting Big Brother?" - "Who won Power of Veto on Big Brother?" One of the best parts of Big Brother is that it doesn't stop when the episodes ends. 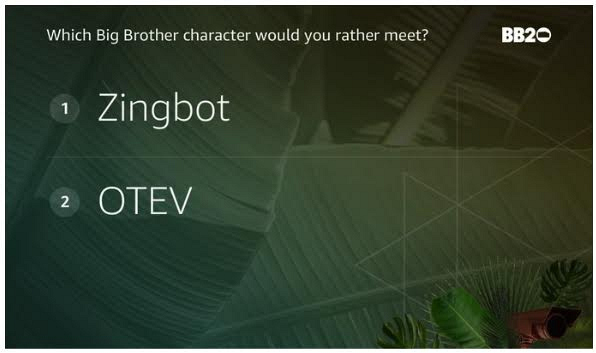 Whether it's asking Alexa about BB, playing games on the CBS Messenger Bot, or just watching the BB Live Feeds on CBS All Access—Big Brother is fun all summer long.